Shalom and Welcome to My Home Page. *From one musician to a full 15-piece orchestra—we will tailor your event according to your needs. *All styles of music for your listening and dancing pleasure—clients can choose from an extensive repertoire of songs (or have a little of all): Chasidic, Sephardic, Arabic, Middle Eastern, Yeshivish, American, Israeli, Classical, Klezmer, Broadway, Motown, Standards, and more. *You Name It—We Play It! A wide-ranging selection of songs and styles that you can choose from, to set the mood and atmosphere you're looking for. Kieffer Orchestra also specializes in entertaining at your Shabbat Bar/Bat Mitzvah with its professional singers. Horas, Jewish/Yiddish, Middle Eastern, Israeli, American, sing-alongs, table strolling, games for the kids—all to enhance your Simcha. Many satisfied clients! "Music is key at a wedding party and we were very happy with our choice of Izzy Kieffer. When the sound was playing, you just wanted to be on the dance floor. Even those who didn't dance couldn't help but jump right out of their seats. We never had so many people approach us just to say "awesome party!" and comment on how lively it was. He provided just the right mix of dinner and dance music. Even the time spent waiting for the guests of honor was enjoyable (as we were told). And if there's a song he doesnt know, you can rest assure that he'll have it taken care of in time for the big moment. Just as importantly, Izzy is professional, real easy to deal with and very accomodating....whether it's providing more time, additional sound or specialty musicians/singers or a variety of musical genre (traditional Jewish, modern American, European, Middle Eastern/Sefardic, etc.). Also, not only did the customer not have to chase after him but he took the proactive role, communicating with us as well as others, knowing that we had more important things on our minds. Finally, the price is right. You get more than what you pay for!" 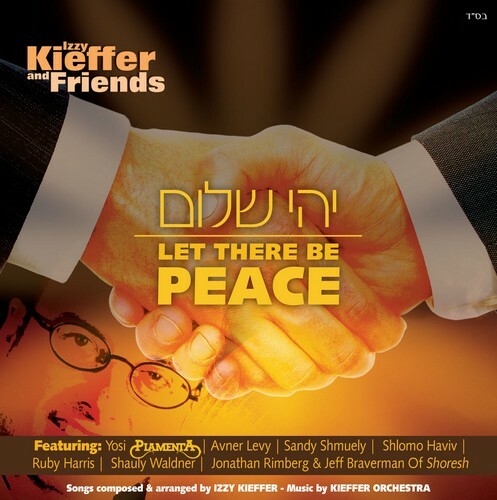 Izzy Kieffer�Bandleader, Singer, Drummer, Keyboardist, Songwriter, Arranger. Or go to your local Judaica store - some of stores sell the CD on their web sites. Izzy started his musical career at age 5, hand-drumming on the table during Shabbat zmirot. 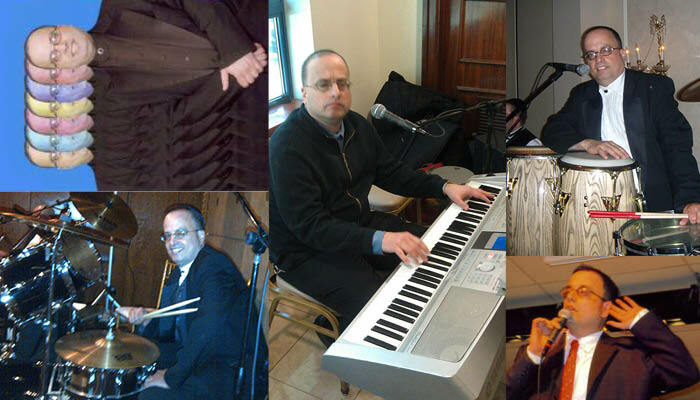 He later served in the IDF rabbinical army band under Mona Rosenblum, and has been involved professionally with music ever since. Izzy Kieffer’s debut CD has many pleasant surprises. 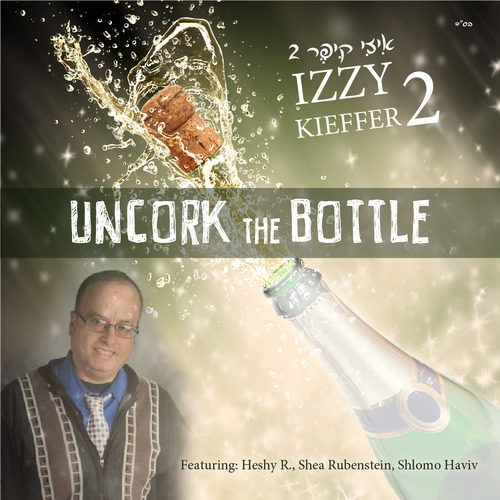 Izzy is featuring some of today’s well known artists such as Yosi Piamenta, Sandy Shmuely, Shlomo Haviv, Avner Levy, Jonathan Rimberg & Jeff Braverman, to name a few. In addition to singing on several songs, Izzy has written most of the songs and arranged the album himself. Izzy took Carlebach’s Yehi Shalom and produced an incredible reggae version of that song. He did the same with the traditional "Ode Lo Ahavti Die" and turned it into a blues-rockin' song featuring a full horn section with Piamenta’s guitar playing. Another great one is a track called "Hamalach," a duet with Shauly Waldner (Yitsy Waldner’s brother). There are 16 great tracks on this album catering to all styles of today’s Jewish music scene--old school Chassidic, Middle Eastern, Persian, Reggae, and more.The songs are fun, entertaining and easy to sing. There is really something for everyone here." Izzy sings his version of "Ode Loe Ahavti Die" - Israel Day Concert 5-23-2010 / Izzy plays the Darbuka with the Nafshainu Orchestra. / Izzy accopaning Jerry Markovitz on Keyboard/Piano - Israel Day Concert May 23, 2010 / Izzy and Heshy at the Israel Day Concert at Central Park May 31, 2009.
with Tim Boyce and Y-Love.